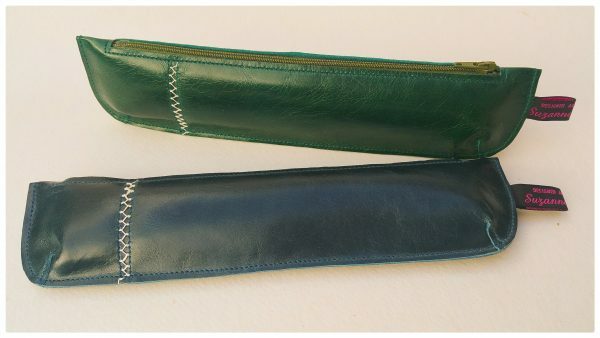 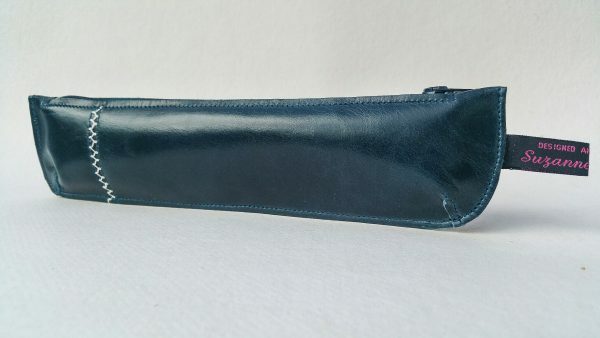 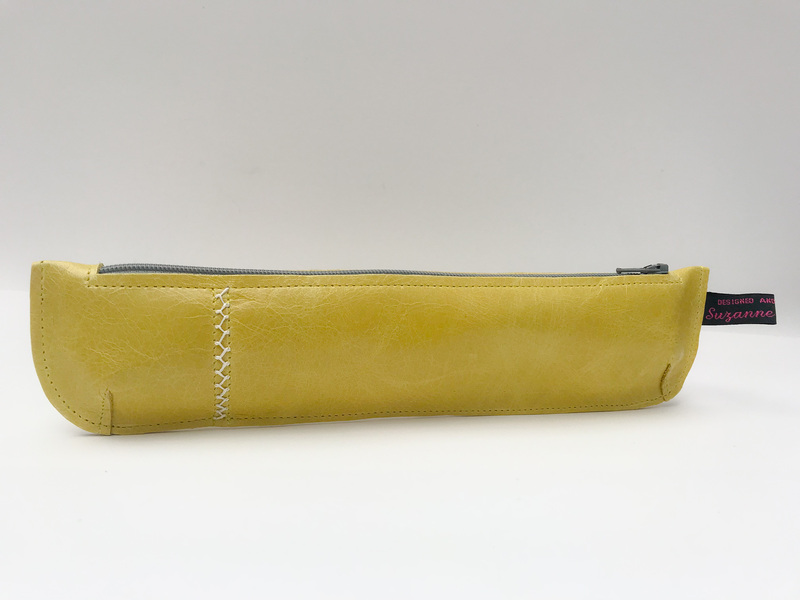 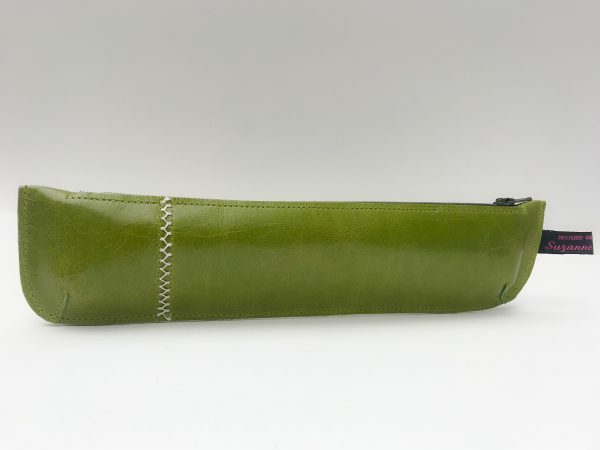 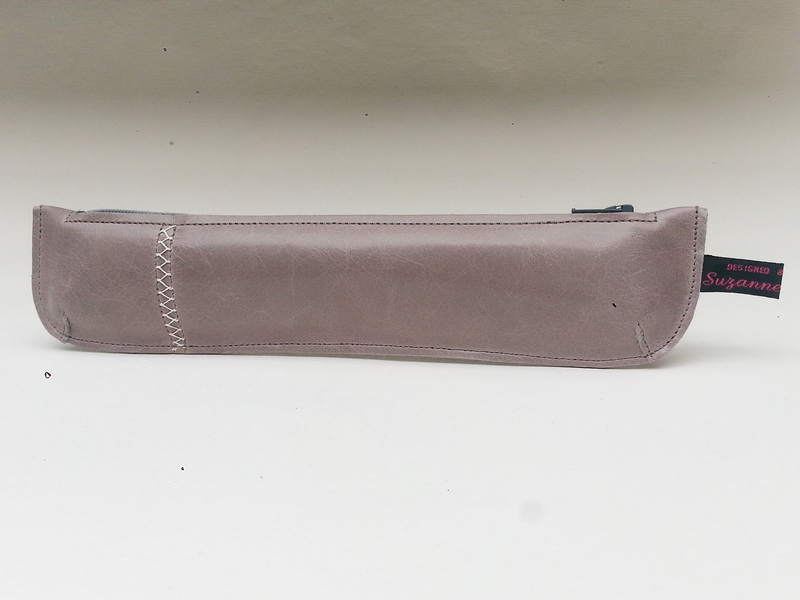 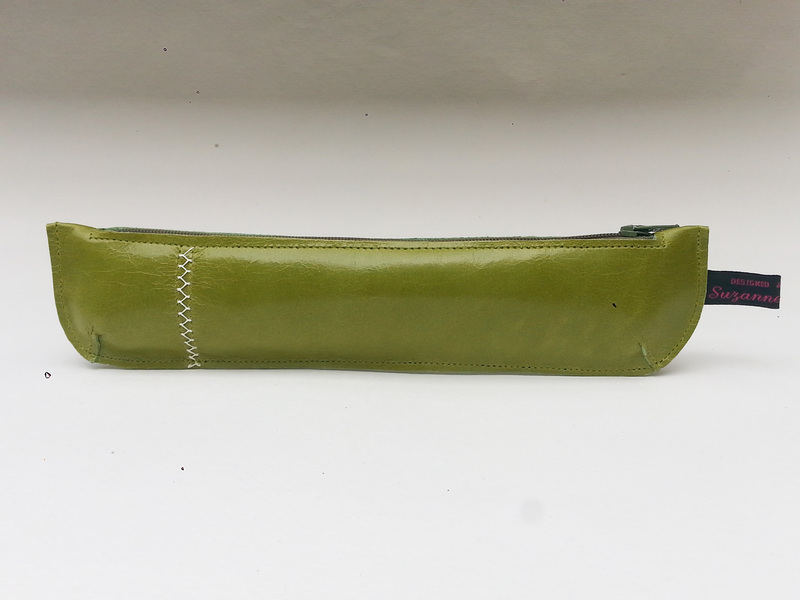 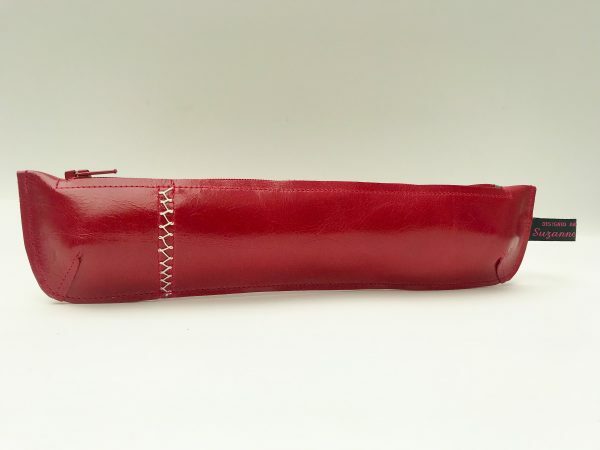 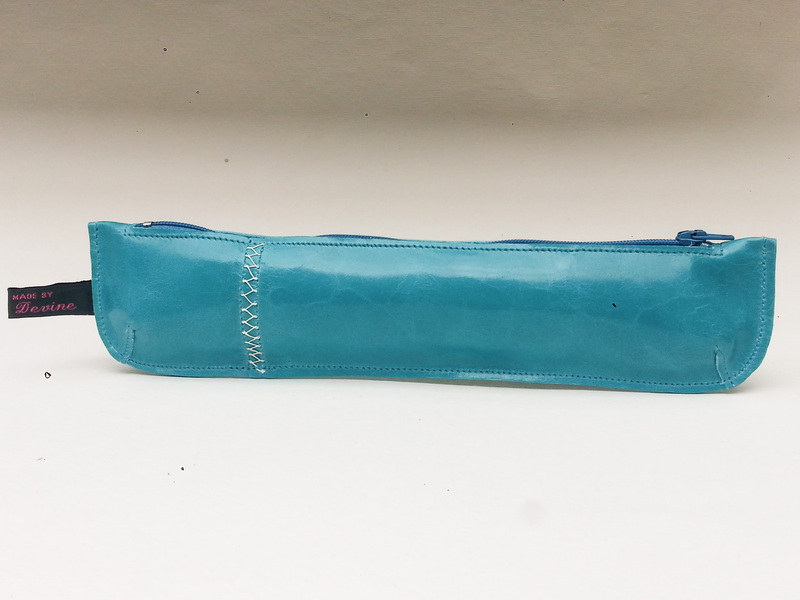 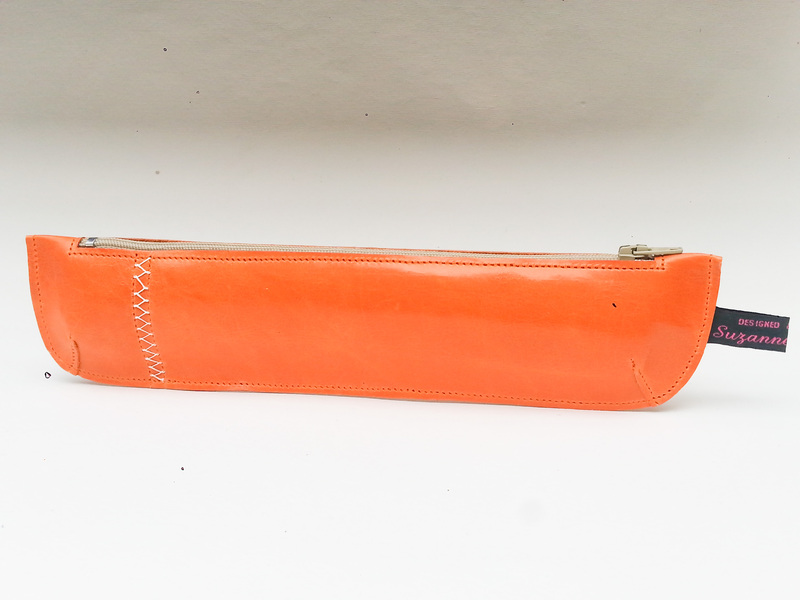 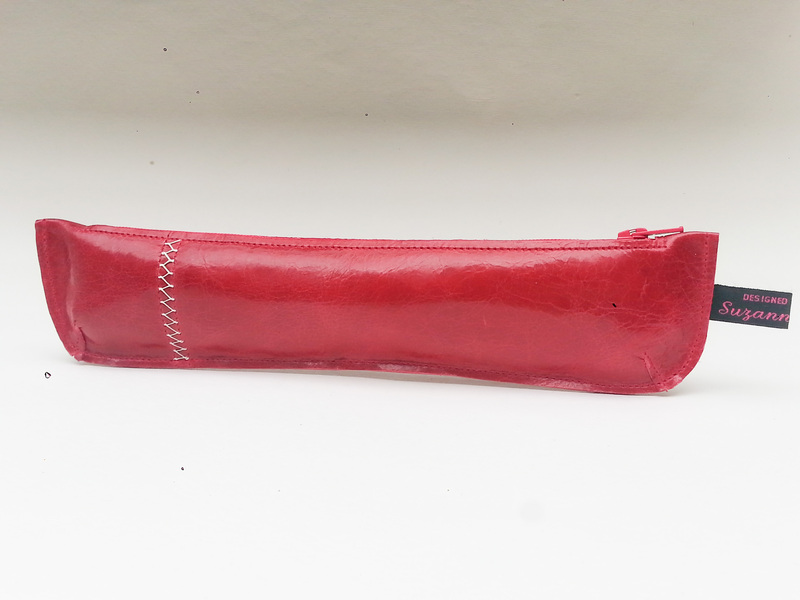 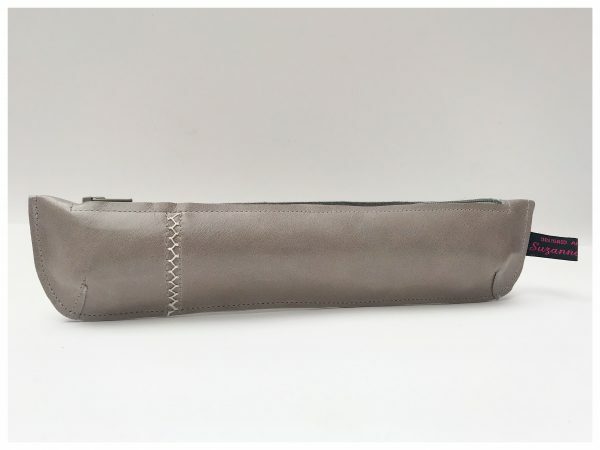 These cases are made from cow hide leather and are long enough to fit a selection of slim paint brushes or to be used as a pencil case. 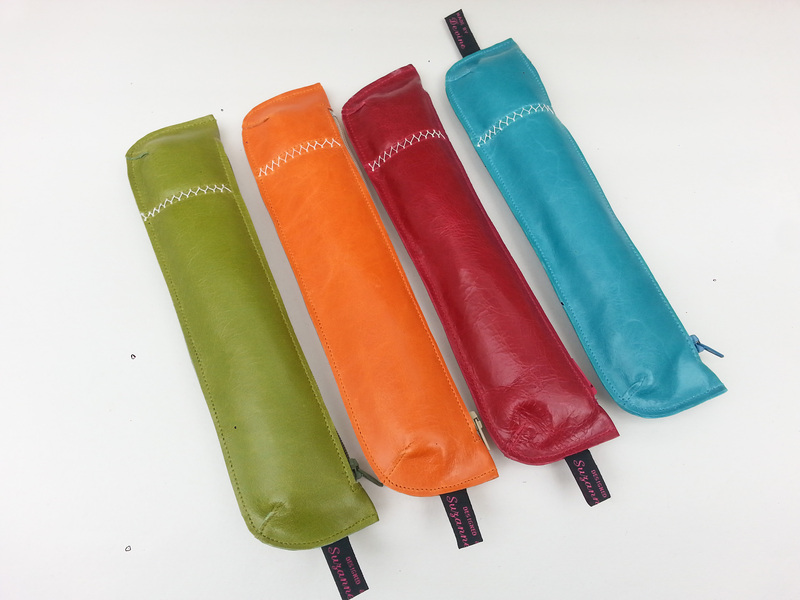 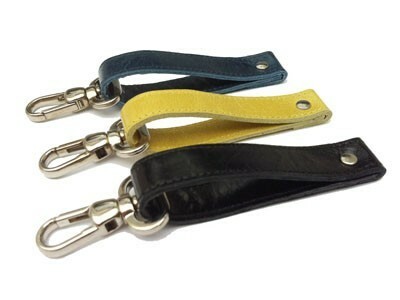 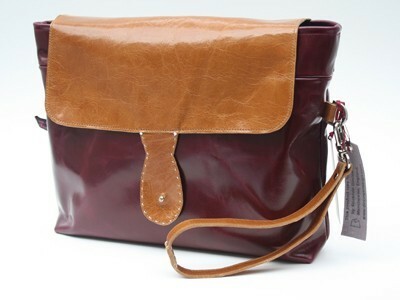 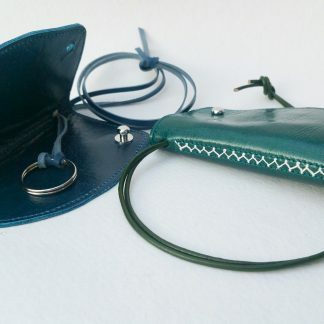 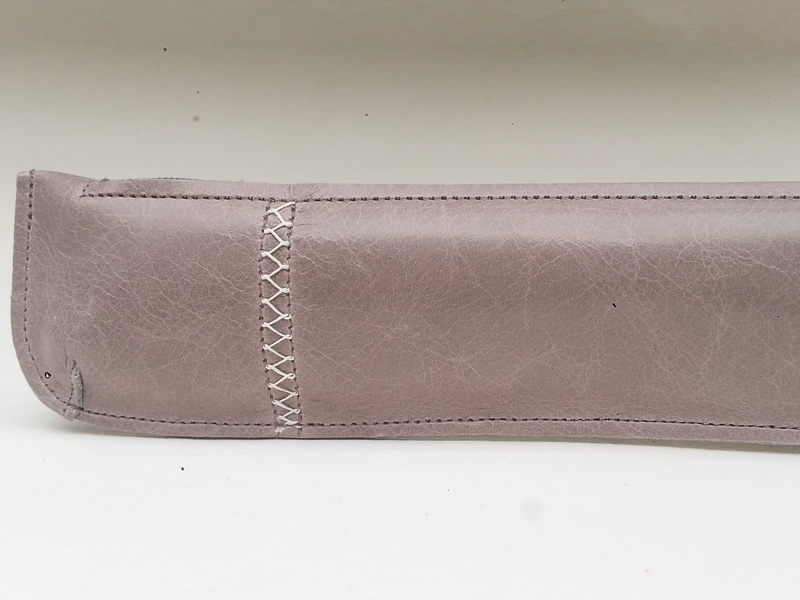 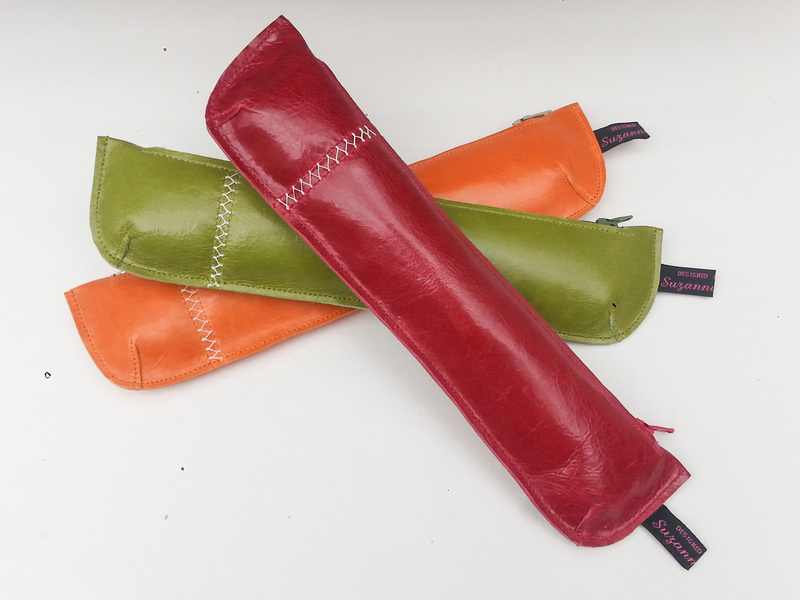 They have an 8 inch coloured zip in to compliment the leather used and come in a variety of colours. 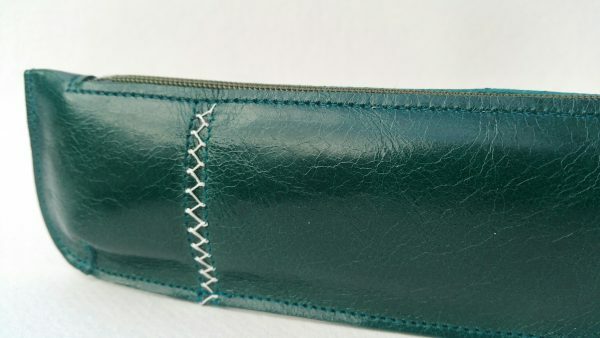 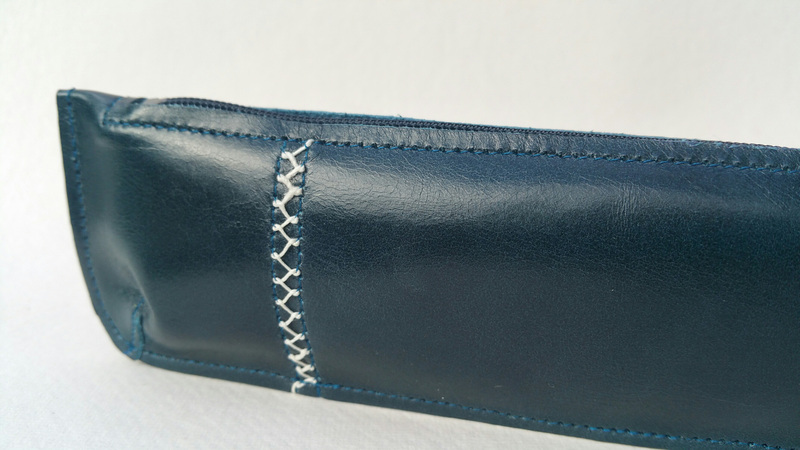 The base of the design is hand cut and re-stitched to create depth to the design. It is then finished off with an intricate handstitched design on the front. 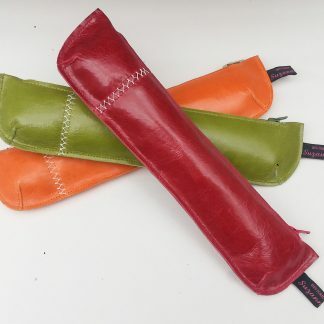 W:24cm H:5cm D:2-3cm when filled.